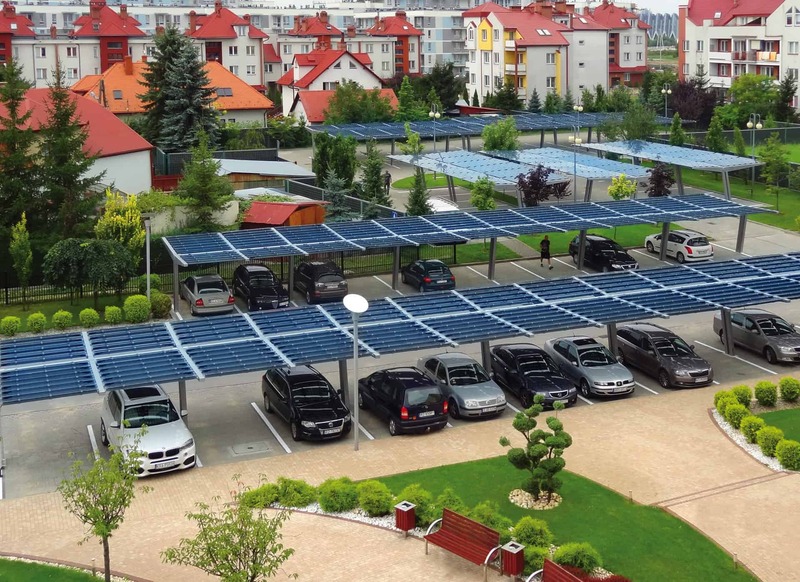 Car parks are truly a natural place for photovoltaic cells, where they can be installed as carports. 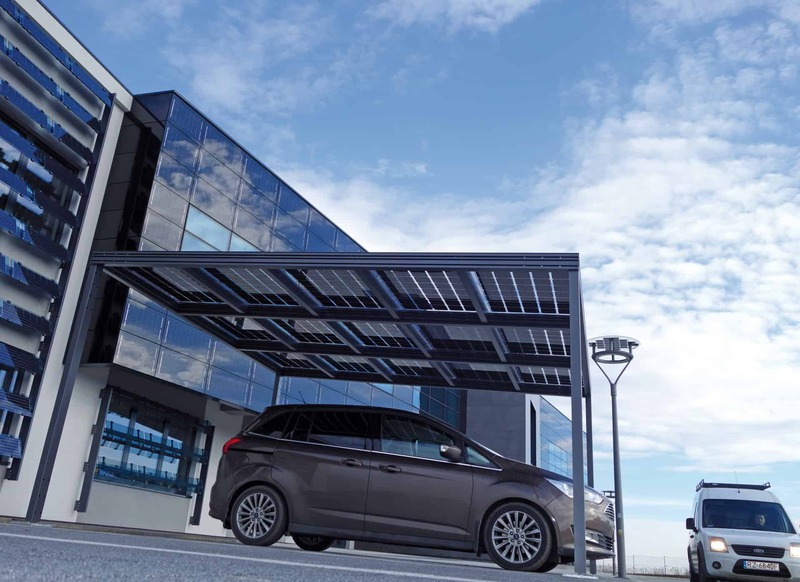 This enables generation of electricity from solar energy from a surface that already has a specific utility function, and shading the parking places improves the comfort of drivers as they leave or return to their vehicles. The compatibility with various construction technologies help to adapt the solution to specific project investor demands. 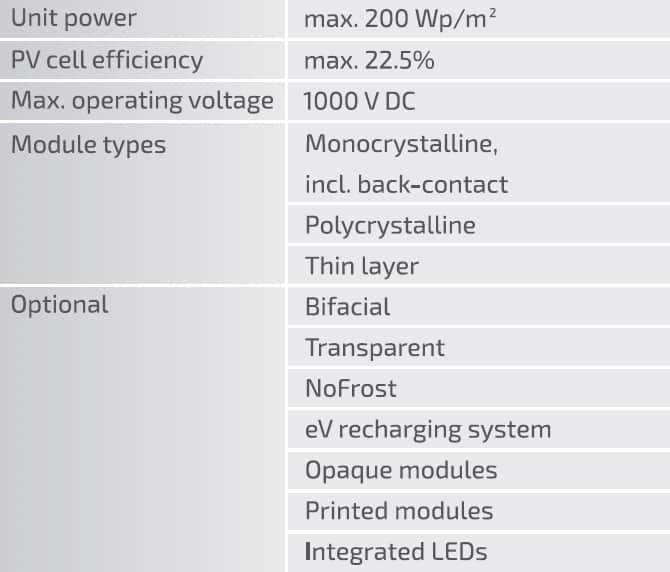 The photovoltaic modules for the carport skin can be built in various forms. They can be installed with sealed gaps to protect the vehicles from rain and snow, or tiled in cascades, or mounted on lamellar beams. No matter the installation configuration, they are all safe for the users. The no-frame glass-to-glass PV modules comprise laminated glass panes that remain in place even if exposed to mechanical damage or failure. The transparency of the designed roof skin may vary according to the requirements, from completely opaque surfaces to transparency levels that support planting under the canopy. This factor directly affects the installed power generated on the installation surface area, which usually ranges from 50 Wp/m2 to 200 Wp/m2. 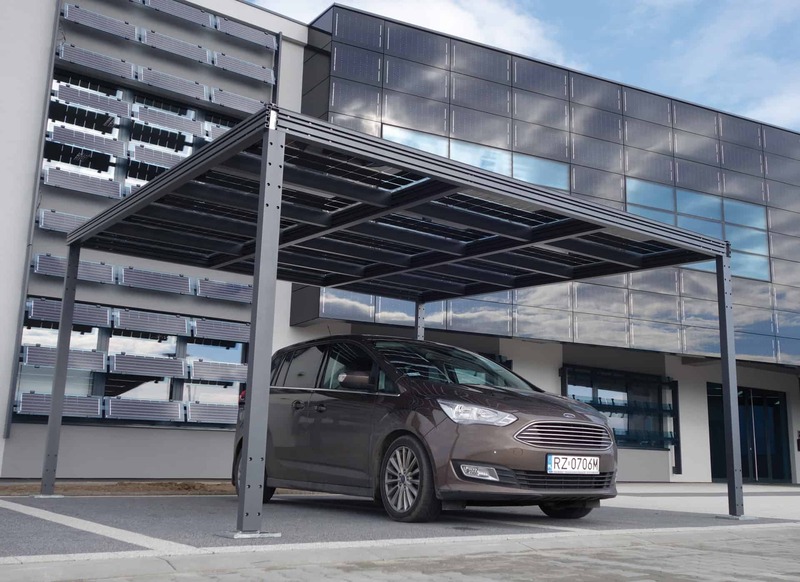 A PV carport can feature PV cells of various parameters, also with tinted glass or colour film. The number of possible visual effects is virtually unlimited. 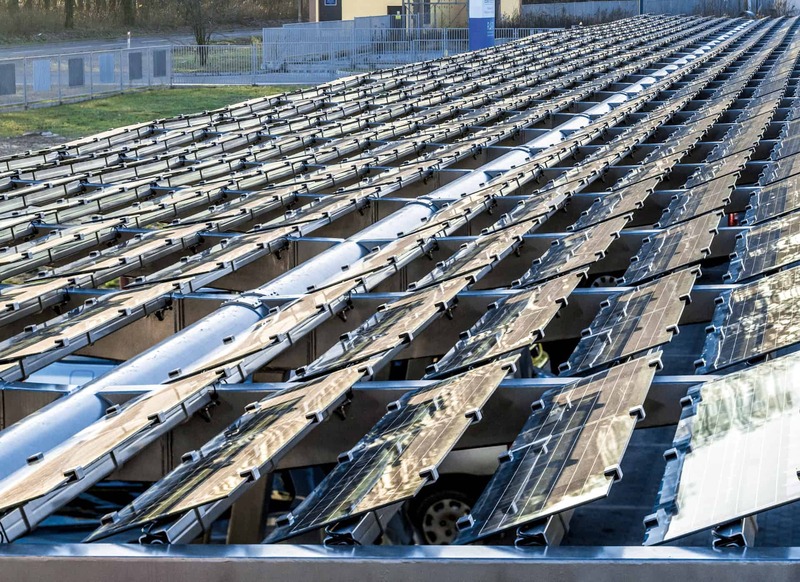 When combined with the NoFrost functionality, the PV modules of the carport need no snow clearing, keep the people and vehicles below protected from deadly icicles, and generate power in winter (when standard photovoltaic panels are usually buried in snow). The PV module substructures can be made of steel, aluminium, bonded laminated timber, as well as any combinations of these materials. Steel allows virtually limitless creativity for large span forms, aluminium is the material of choice for lightweight structures with minimalist forms, while wood, being a product of nature, harmonises well with both modern and classic surroundings, including architectural monuments, to merge tradition with today. 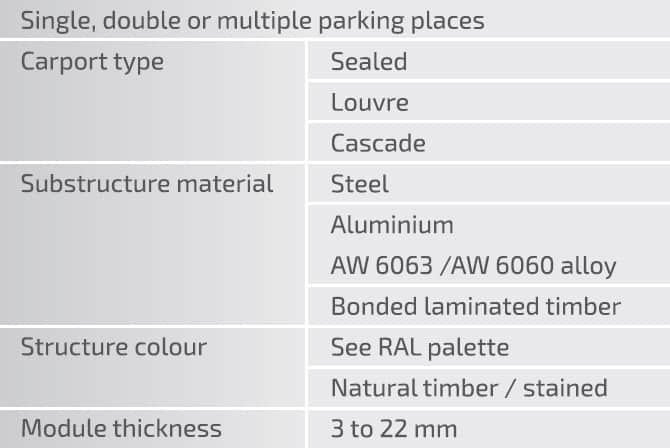 Each solution boasts high durability and low maintenance requirements. This is also true of the photovoltaic system, which requires zero maintenance labour intensity (aside from the regulatory inspection of the building electrical installation; while remote monitoring, data visualization and BMS (building management system) interfacing are viable options). 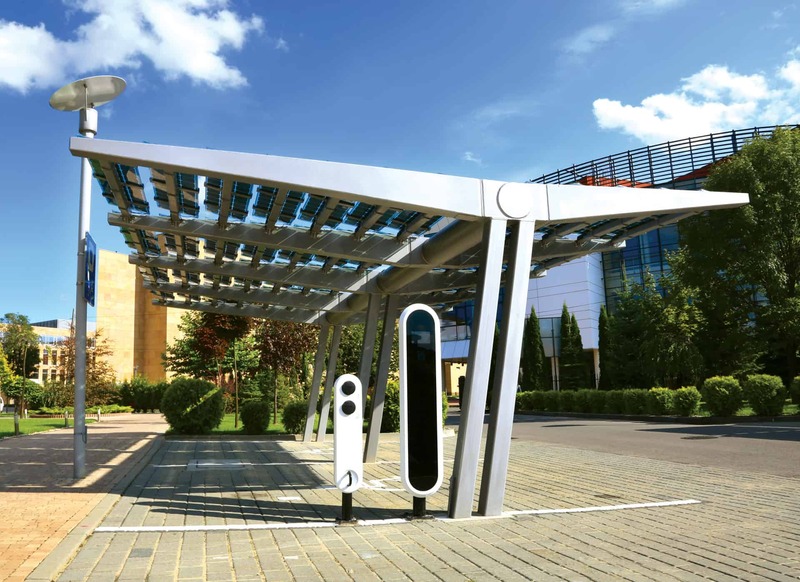 The solutions offered here are excellent ideas for sheltering single parking spots or large car parks (including in public areas, where special safety requirements apply by law). 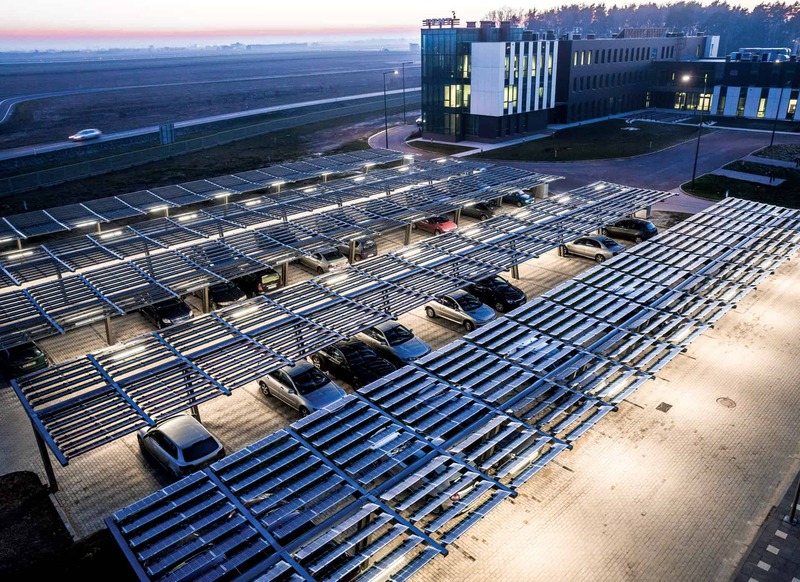 A natural complement to the photovoltaic projects for parking lots are the increasingly popular e-vehicle charging stations; hence photovoltaic carports can help popularize ecological eVs and contribute to a cleaner environment. Zaczernie / ML System S.A.